Great news for Android users! If you have been waiting for an update to Android 2.1, well your prayers have been half-answered. There’s now a huge possibility that a major OTA update is coming soon. 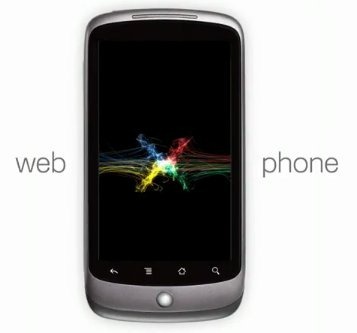 Rumor has it that the Google branded Nexus One is going to be the first handset to get the update. But for other Android phones, 2.2 update may still be far off considering the fact that many are still stuck on version 1.6, let alone 2.x. The evidence of Android 2.2 comes from Google Analytics report of Android and Me site, which has found hits coming in from the said version of the operating system. While these numbers can be faked, there is a high chance that this is the real deal and an update will be soon on your way! Android 2.2 is currently said to be on the testing benches and is likely to be announced on May 19th on the opening day of Google I/O conference. The features about the update are all rumored and nothing is confirmed. Here’s a list of updates which we might see. Write apps to SD card!!! That's a huge one. If Froyo gets that I'll leave my Cyanogen(mod) behind for the Google version. Biggest improvement I want to see in Nexus One? Let us install apps to the SD card!!! The measly 192MB they give us right now for apps is nothing.. filled up very quickly (and even 250MB won't be enough for me). Right now you can do it by rooting/custom ROM, but I'm hoping that's not necessary. The problem with writing the apps to the SD card will be that it will hurt developers. I could see writing 'free' apps to the SD card, but when you start writing the apps to the SD card, you'll see even less advanced hackers stealing .APK's and installing them without having to pay. It can be done now, but it takes a considerable amount of work. If the apps resided on the SD card, it would take far less time / effort. So maybe they should take a page out of Apple's book and offer a larger amount of onboard storage. Who'd think that tethering and apps on the SD as well as the JIT compiler would head on to the official 2.2. So will you be leaving Cyanogenmod behind? I'm still going to stick with it, if its like the 2.1 version, its still far faster/better than the official release. I'm hoping cyanogen will be able to pull the same with 2.2.
but when we are going to be blessed with? for my nexus one. Very useful, but for “cyber people”. For one like me, how much should cost? Instill trying to download 10.1 to my nexus.yes I'm an idiot. Can anyone provided an instruction link…?